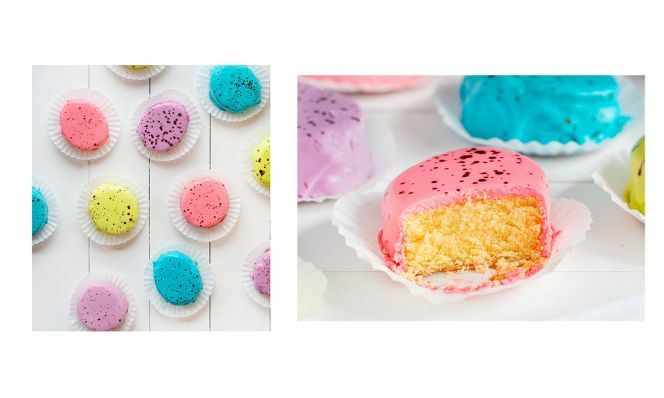 It's springtime, so bring on the pink, yellow, lilac, and baby blue desserts. 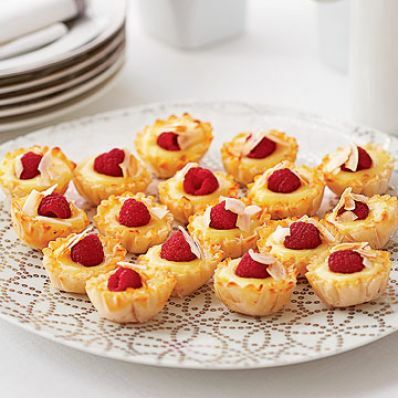 We can't get enough of these delicious little treats, which are perfect for you Easter dinner menu. This beautiful ombre cake uses lemon zest and juice to create a sweet and tart combo that is out of this world. This recipe uses 20 ready-to-serve crepes so all you need to do is whip up the raspberry-cream filling and assemble. Top these moist chocolate cupcakes with pastel-colored buttercream frosting. 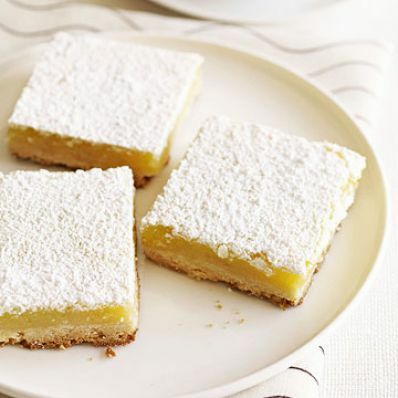 You can never go wrong with a tart, sweet lemon filling on a crisp crust. 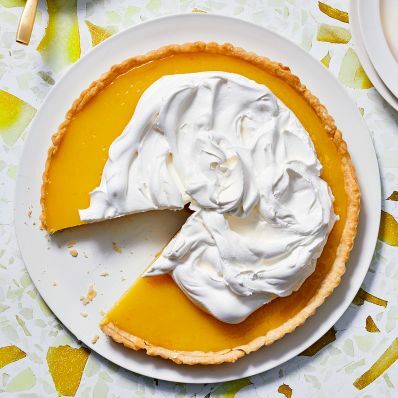 Delicious, tart lemon curd is poured into a pie crust for the ultimate lemon tart. Homemade lemon-lime curd pairs beautifully with store-bought phyllo dough. You can have these ready in a flash! The season for the elusive rhubarb is short, so make this recipe when you see rhubarb in your local grocery store or farmer's market. 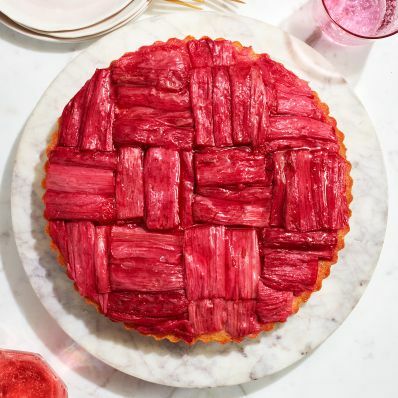 It's easier than you might think to create the faux lattice rhubarb topping. Watch this quick video to learn our tricks. 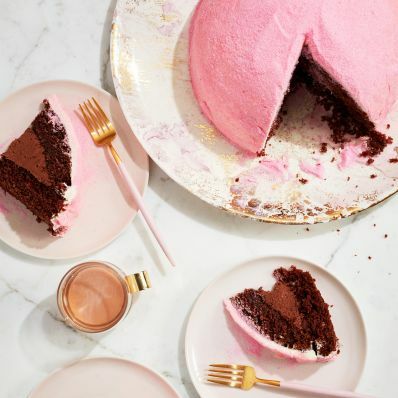 Chocolate cake, marshmallows, and pink frosting? This one is sure to be a favorite with your guests. Once you have dollops all around the cutout you can remove it. To do this, I use a toothpick to find the end of the parchment and pull it up slightly. Set down the toothpick and then, using both hands, start to pull the parchment up and away from the cake. Move slowly. You want the bunny cutout to pull away any of the frostings that were piped on top of it and leave a nice clean edge on the frosting remaining on the cake. Continue piping around the top of the cake and down over the sides. I chose to go about 1/2 way down the side of the cake and used the smallest tips (or applied very little pressure to a larger tip) towards the bottom edge. Pound Cake – Use store bought for a quicker treat, or try our Orange Pound Cake recipe. Frosting – I used store-bought frosting because of the convenience, but you could also you a homemade buttercream. 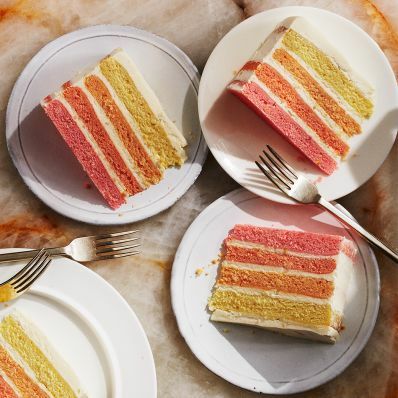 The final result will not be as shiny as the store-bought, but you could add a little corn syrup to your buttercream to achieve the same look. Cocoa Powder + Water – this is how we will achieve the fun speckled effect! Remove lid and foil wrapper on store-bought vanilla frosting (make sure all of the foil is removed) and then heat for 30-45 seconds. 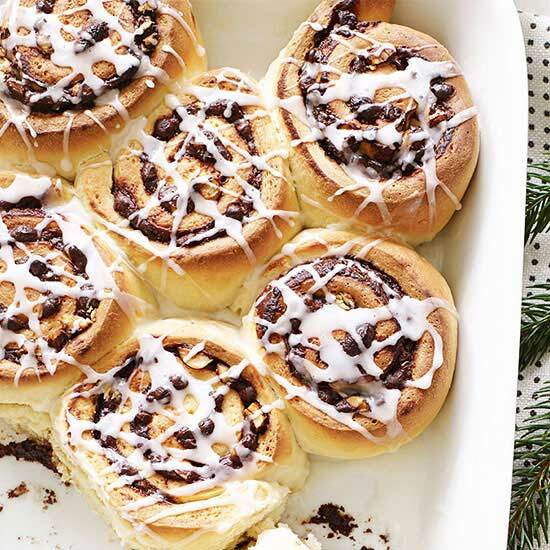 Frosting should stir easily and be warm. 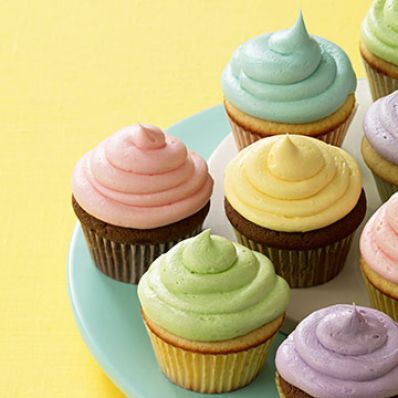 Add in 5-10 drops of McCormick® Neon food color to one frosting container and stir well. Slowly pour some frosting over 1 egg, starting at the edges and then moving towards the center. Make sure the frosting spills over and covers all of the egg, down to the bottom edge. Continue with the remaining eggs. One container of frosting should be enough for 9 eggs. 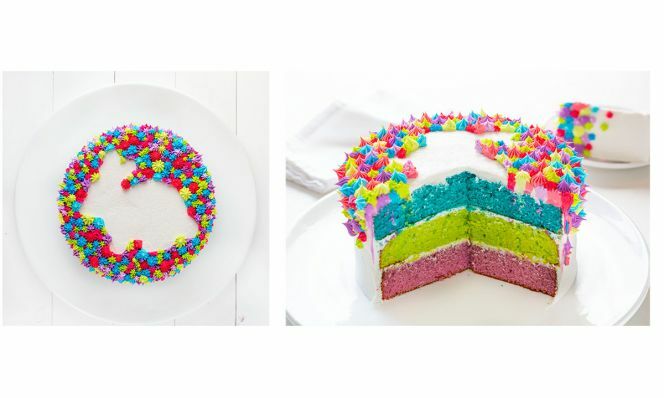 If you are making a few different colors of frosting, prepare each color as you go, not all at once. The frosting could harden a bit and not be as pourable if you let it sit for a while. Prepare the cocoa + water for speckling. Take 1 tablespoon dark cocoa powder and 1/4 cup water and stir until combined. 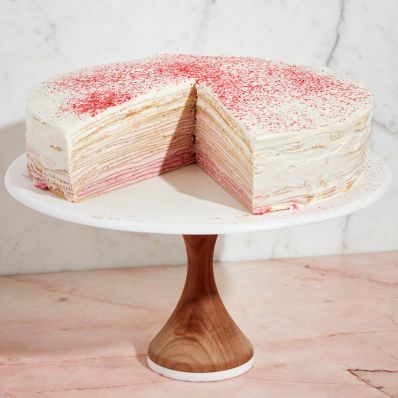 Place cake on a table outside or on a table lined with newspaper. (The cocoa water can splatter, so this will help with clean up.) Dip brush into cocoa water and then hold it in your hand near the cake. With your pointer finger, run your finger along the bristles of the paintbrush. The first time you do this, try to be a little farther away just so you are able to gauge how much pressure you can use, how much liquid you need on your brush, and how close you need to be. Another option is to hold the brush in one hand and then tap it against your other hand over the cake. This is the method I did in the video below. Do this all over the top and sides of the egg cakes. After the egg cakes have set, they can be moved. I simply took a cupcake liner, flattened it out with my hand, and then placed the liner on a serving platter. Using a small offset spatula, carefully lift the egg and then set the egg cake on top of the cupcake liner. You can also serve them individually on a small side plate. I preferred to eat them with a fork, but my kids really enjoyed just picking one up and taking a big bite!